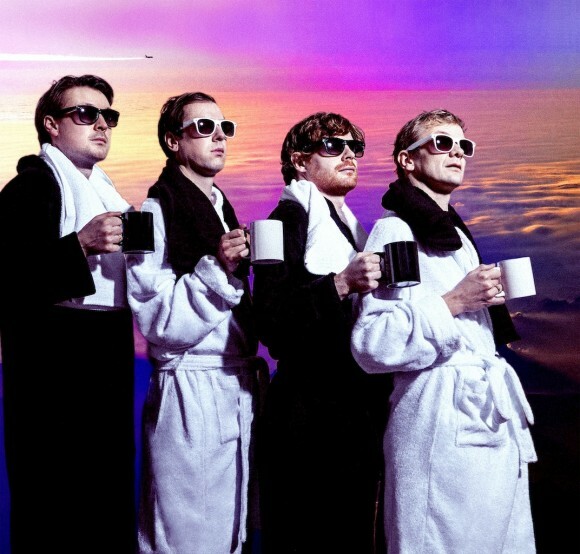 When Django Django visited Seattle for the first time in 2013, their show had true heat. Fans, and I’m including myself as one, were really happy to see the British quartet. The band had released an excellent and timeless self-titled album, one that triumphed with beautiful harmonies, and they stirred up that sold-out audience into flurries of light. With a light show hiding the band between glimpses here and there, the music brought audience and artist together, which makes sense, as Django Django is all harmonics. I loved it. So yeah, I’m more than a little excited about what they’ll do at, and to, the Showbox on Tuesday night. Album two, Born Under Saturn, again captures what is now Django Django’s – and theirs alone in current music – sound. New trippy and beautiful tracks such as “First Light,” “4000 Years,” and “Shot Down” will be fabulous to hear live. Get tickets & more information right over here. Written by: Dagmar on 10/17/2015. This entry was tagged django django, posted by dagmar. Bookmark the permalink.